We are always striving for some pleasurable fun and this time we found it packed in a little tin. No they are not the exact lyrics for that popular song but it is something we followed on the hunt for our latest cocktail of the month. I have a real sweet tooth, meaning if it’s sweet and sugary, i’ll either drink it or eat it. So I jumped at the idea of being able to go to the shops and walk out with twenty tins of golden syrup. Sure you get a few weird looks but they know you’re going to be having a good time. In the end what’s more fun than a tin full of golden syrup? We started with this as our base and began work on building a mix with flavour packed tin. We chose Hennessy VS next as our cognac of choice for it being world renown as the quintessential brandy of choice. The VS stands for very special so it just has to be good right? 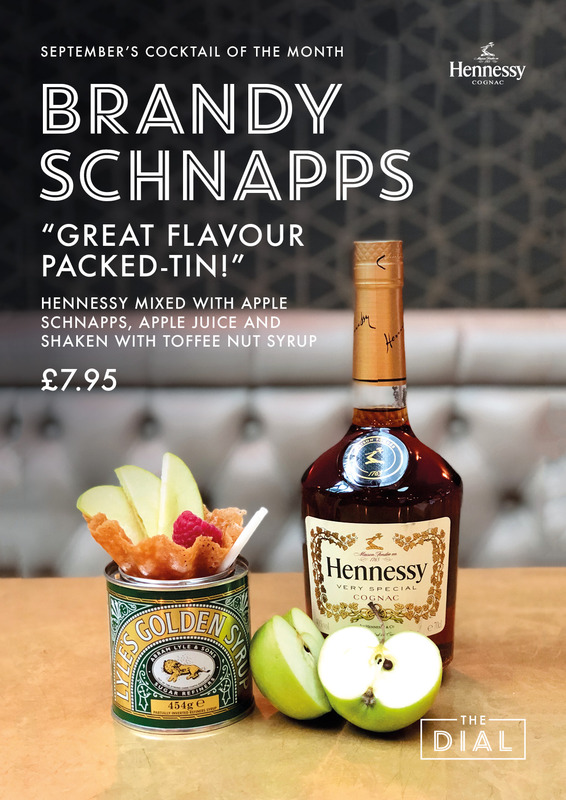 Hennessy pairs really well with apples so we chose to use apple schnapps and cloudy apple juice to mix it all with. However I have a sweet tooth remember? So obviously I added toffee nut syrup into the mix resulting in a sweet and fruity cocktail that’s full of flavour and should remind you of toffee apples and fireworks. Good times. All this in our golden tin and topped off with a brandy snap basket full of fruit to continue our sweet and fruity theme and helps if you would like a snack. So the next time you’re hankering for something sweet and delicious, ask your friendly neighborhood barman for a brandy schnapps.